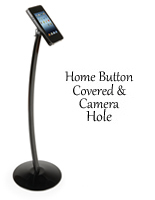 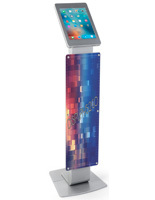 Are you in the market for locking iPad kiosks for public speaking, lectures, trade show use, or commercial displays? 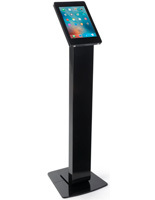 We carry a large selection of lightweight, freestanding tablet podiums with built-in device enclosures with multiple security locks, as well as portable lockable stands for wayfinding or merchandising displays. 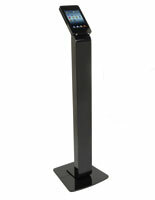 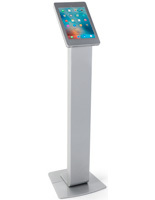 Tall, floorstanding fixtures with integrated handheld enclosures are a great choice for public presentations at trade shows, in museums or galleries, for keynote speeches in conference rooms or auditoriums, for ministry or sermons, and in schools. 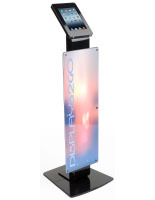 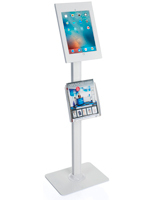 Each commercial-grade iPad kiosk is equipped with a floor-standing base, many of which offer adjustable height to accommodate different users. 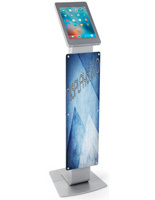 We offer a wide variety of tablet configurations for enclosure sizes, colors and even custom graphics options to match different usage and display needs. 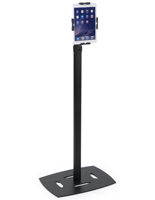 Our sturdy iPad kiosks, also known as secure tablet stands, are the perfect choice for lectures and sermons, business or marketing presentations, as well as for offering customers direct access to online directories, advertisements, product or inventory information. The differing designs accommodate a wide selection of handheld device models, from Android Samsung handhelds and Nexus tablets to Apple iPads, Air tablets, and Minis. 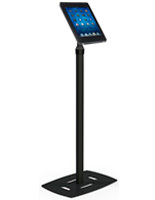 Where can tall, secure freestanding tablet stands be used? 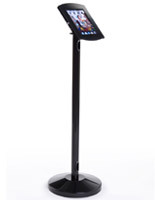 Secure tall tablet stands offer high visibility in locations with heavy traffic, making them a great choice for retail settings such as department stores, malls or boutique shops. 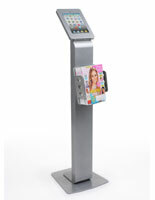 The stylish, portable holders can be used as POS stations, to promote sales, show weekly ads or create interactive shopping experiences for customers to free up available staff. 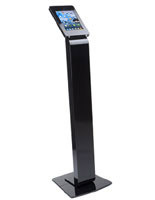 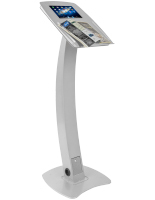 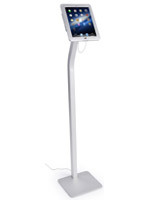 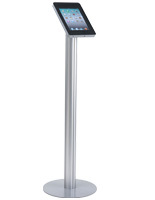 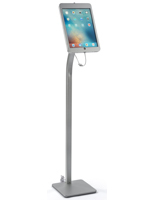 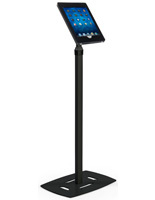 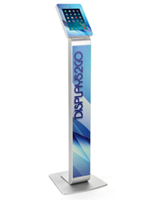 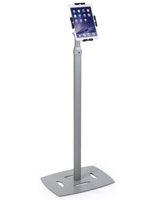 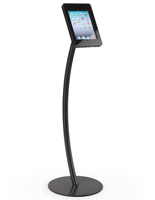 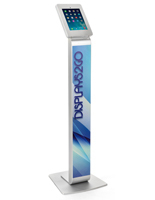 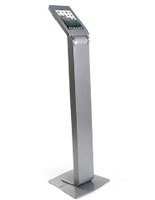 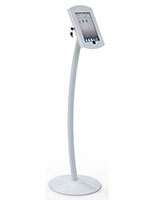 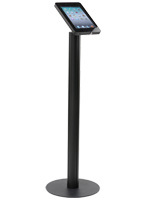 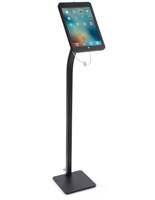 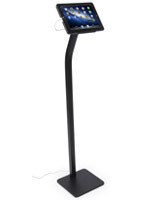 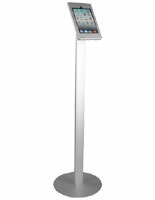 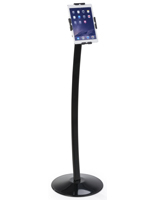 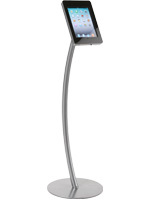 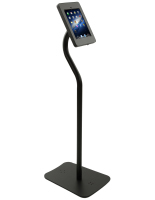 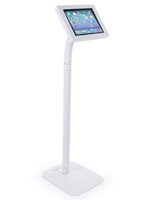 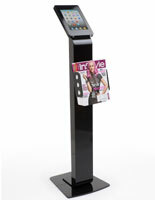 iPad lectern kiosks are lightweight alternatives to traditional podiums. 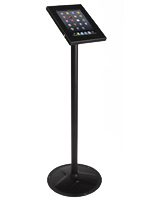 These modern presentation and public speaking accessories take advantage of the ease of use offered by tablets, apps and other technology to offer speech, sermon, or class notes, written copy, and extra information literally at the speakers' fingertips. The ability to securely lock valuable devices in place makes this type of tall tablet stand a great choice for classroomd, public auditoriums, and shared facility spaces. 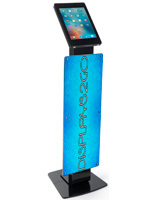 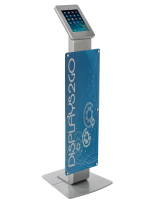 Freestanding tablet display stands with locking enclosures are a welcome addition to reception areas, lobbies, and other locations with heavy customer or visitor traffic. 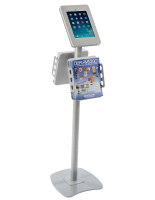 Point of purchase check-in, customer service, and online ordering or payment help increase operational efficiency as well as client satisfaction in stores, businesses, information centers, and more. 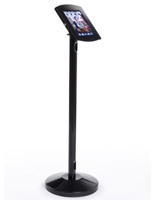 In addition to providing a smaller, lightweight lectern for public addresses, class lectures, business presentations, or sermons, this type of tall, freestanding tablet holder is frequently used as a permanent fixture in retail or commercial operations. 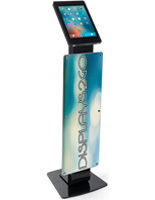 Floor stands with lockable device enclosures can offer digital interactive support and assistance to shoppers, customers or guests, and provide peace of mind for business owners or managers. 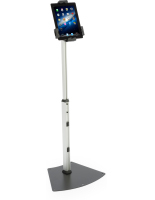 The locking design keeps the tablet secure within the stand and on many models, the home button is covered to further protect against tampering as well as unauthorized program or device access. The rotating design of the enclosure makes it easy to change the viewing orientation without removing the tablet from the stand. 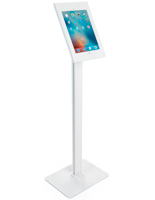 Available models support Samsung tablets, Android tablets or multiple generations of Apple iPads. 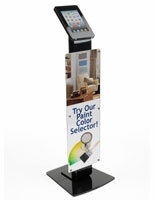 We offer styles and colors that are made to complement any professional, commercial, educational, or retail setting.